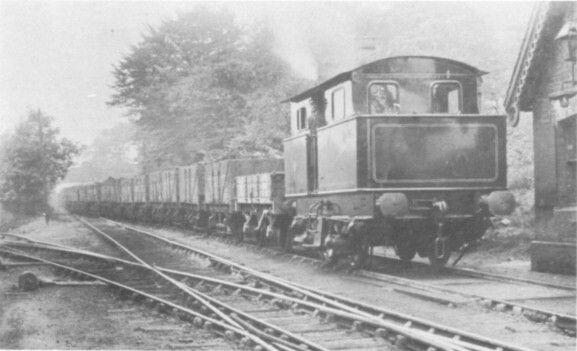 Correspondence in RECORD 42, page 231, covered a topic of early Bridgewater Collieries locomotive history and featured an illustration of a vertical boiler locomotive which worked on this system. This was one of a series of copy photographs I made some years ago from originals in the possession of Mr. H. Tweedy, former traffic foreman on the Bridgewater lines. The other photographs are reproduced here and make a rather interesting collection. 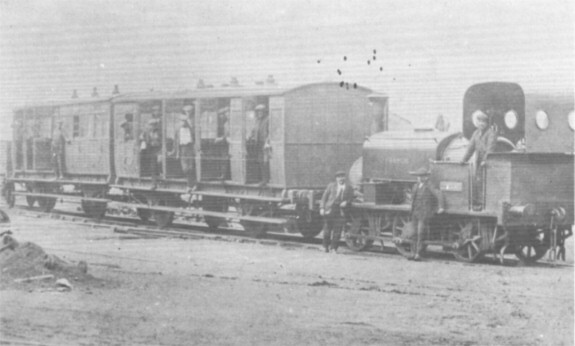 The first view shows FRANCIS (Manning Wardle 311 of 1870) on the little known Paddy train. As far as is known this workmen's train, at its 'zenith', ran all the way from Worsley to Mosley Common via Sandhole, Ashton's Field (where reversal took place), and Walkden. Latterly it is thought to have run from Worsley to Ashton's Field only, and its final withdrawal probably coincided with the introduction of tram-car services in the locality. I do not have definite details of the disposal of FRANCIS, but I used to know an old chap who was adamant that it was 'taken away by a Sheffield firm for further use.' The body of a coach, probably one from the Paddy, was in use at Sandhole colliery in relatively recent times, and maybe until the colliery closed. 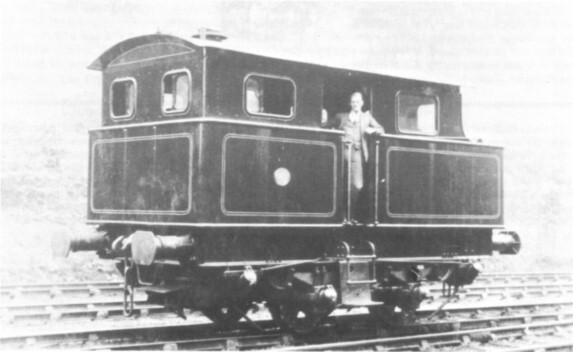 A more modern inside cylinder locomotive, GRAND DUCHESS was also a product of Manning Wardle (484 of 1874) and had an exceptionally large cab to accommodate the whole of the firebox. The name GRAND DUCHESS was painted on the saddle tank above the hand rail but is barely visible in the photograph, which was taken at Sanderson's Sidings. (These sidings were one of the system's several outlets and were adjacent the LNWR Manchester - Wigan line near Worsley station). The Atkinson Walker vertical boiler locomotive shown 'posed' at Sanderson's Sidings was on trials on the Bridgewater system in 1928, and the final photograph (kindly provided by Geoff Hayes) shows this machine in action at Sanderson's Sidings with an arrival from Nanny Lane Sidings, which were just south of Sandhole. 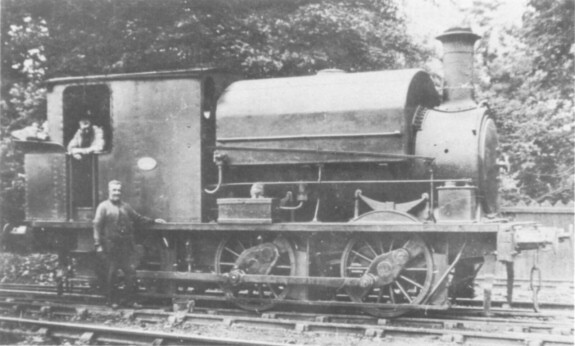 Can anyone provide further details of this locomotive, in particular its works number?